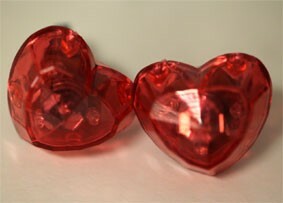 Soft Crystallised Red hearts, attached to springs. Packing: Each in Polybag, 12pcs per inner box. White Fabric with sequin flashing Bow Tie Headband. Red Flashing Horns, great for a hen's night or Halloween. Packing: 24pcs per inner box. Packing: Each in Clamshell pack, 12pcs per inner box. Only turns on and off, no other options. Elastic strap to place around finger. Packing: Each packed in blister pack, 24pcs per box. Soccer, Basketball & Baseball, made with soft rubber. Colours: Asstd colours per box. Squeeze on/off - Multicolour flashing lights. Packing: Each in Polybag, 48 pcs per inner box. 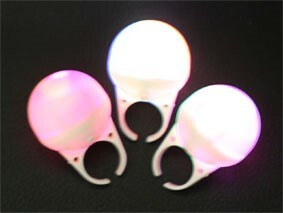 Colours: Clear soft plastic with flashing multicolour LED's. Description: Adjustable size, Turn clockwise to activate. Colours: GAMFRRAIN – Rainbow slow changing Rainbow. GAMFRSTROBE – Strobe- Blue/Red/White fast flashing Strobe. Packing: Each ring is packaged in small clamshell pack, 12 pcs per pack. 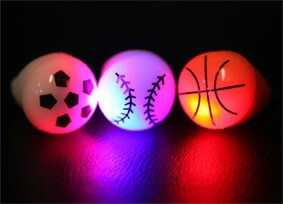 White Plastic Ball ring that flashes very fast to create a Strobe effect. Flashing whistle with key ring and lanyard. Super bright key ring torch, press to activate. Packing: Each packed in Blister Pack. 24pcs per box per colour. Bright, flashing lights around the coloured Transparent necklace. 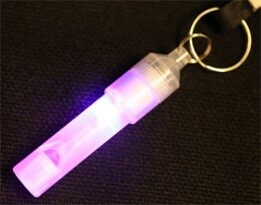 Bright, multi colour flashing lights inside a white tube necklace. Colours: Blue, Red and Green lights flashing altogether. Packing: 12pcs in plastic bag. Squeeze on / off - Multicolour flashing lights. Packing: Each in Polybag, 24 pcs per inner box. Packing: Each in Polybag, 36pcs per inner box. Colours: Transparent clear soft rubber. Packing: Each in Polybag, 24pcs per inner box. Bright multi pattern flashing Skull on a lanyard. Multi pattern flashing Skull and cross bone (large size). Hawaiian style Lei with lights that flash right around. Packing: Each packed in Polybag, 12pcs per pack. Chocker Style Necklace, Multicolour Flashing Lights. Packing: Blister Pack, 24 pcs per inner box. Bright, flashing lights around the coloured Transparent bracelet. Chunky plastic wristband with LED lights multi sequence. Colours: Blue, Green and Red Asstd colours in each inner. Bright, multi colour flashing lights inside a white tube bracelet. Packing: 24pcs in plastic bag. Push button activated on/off Multicolour flashing lights. Packing: Packed in blister pack, 24pcs per inner box. (45cm length) Plastic silver handle with star, multi pattern flashing wand. Excellent Quality, 8 alternate flashing patterns. also comes with wrist lanyard. 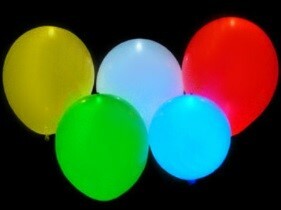 Colours: Clear transparent plastic, multi-colour flashing lights. Packing: Packed in Blister Card, 24 pcs per inner box. Flashing fibre optic stick with flashing magic ball on other end. Excellent Quality, Press the button to change the colour and strobe sequence, also comes with neck lanyard. Colours: Flashes Blue up the handle and Red around the star. Packing: 36pcs per inner box. Australian flag on a flashing stick. 3 x flashing sequences. 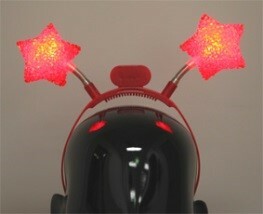 Colour: Red and blue LEDs. Makes metal clashing noises when you move the sword. Powered by 3 x AA batteries. Top Quality. 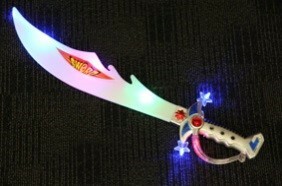 Contains 22 x Super bright LED’s to light up the sword and handle. 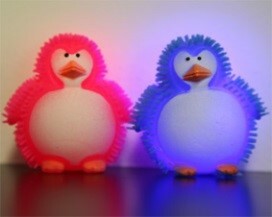 Contains 22 x Super bright BLUE, GREEN AND PINK LED’s Powered by 3 AAA batteries. Top Quality. Realistic flickering effect, simply push down to activate. Lasts for 24+ hours continuous. Colours: Yellow or Rainbow colour LED. Packing: Each packed in blister card, 25 pcs per inner box. Packing: 25 pcs per inner box. Can also be converted into a glow wand or torch. Colours: 16 colours in 1. Press the button to change the colour. A beautiful soft flickering votive candle inside a high quality frosted glass jar. Looks very realistic. 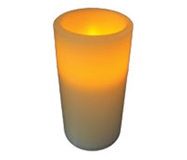 A real wax (not plastic) Pillar style candle that looks so realistic you wouldn't even know it was battery operated until you look inside. Lasts for approx. 120 hours and batteries can be replaced. Packing: Each packed in gift box, 24per ctn. Bright multi pattern flashing snowman on a lanyard. A solid tiny plastic rose shape float that continuously changes colour when placed in water. Great for table decorations at weddings etc. A small plastic lotus shape float that continuously changes colour when placed in water. Great for table decorations at weddings etc. Packing: Each packed in a gift box. A solid but soft plastic star shape lamp that continuously changes colour and you can also change up to 7 colours. Description: Removable magnet to stick on almost anywhere. Small in size. Approx size of 5c piece. Packing: Packaged in small clamshell pack,12 pcs per pack. Removable magnet, stick almost anywhere. Size of 20c. Packing: Packaged in small clamshell pack, 12 pcs per pack. Removable magnet, stick almost anywhere. Packing: Packaged in small clamshell pack, 12 pcs per pack . 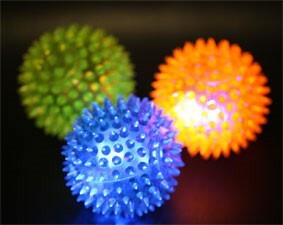 Description: Magnetic Flashing Golf Ball. Spin it around to display text in the Air. Comes Pre-programmed with 13 words and also 1 self programmable message. Colours: Black Casing with Blue LED light. Programme up to 50 Characters with adjustable speed. Attaches easily to clothing and other items. 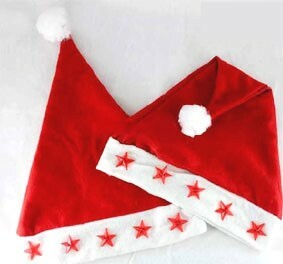 Great for advertising, Parties, Corporate functions etc. Colours: Black plastic casing with Red LEDs. Packing: Each in Blister Pack. 12 packs per box. Programme up to 128 characters with adjustable speed. Programme via your PC with software and cables. Colours: Black screen with Red LEDs. Simply press the button to change the colour Made from Plastic. Approx 500ml. Starts to flash when liquid is poured into the glass. Made from Plastic. Packing: Each glass is individually boxed. Old style coke glass, great for beer or soft drinks. Multicolour flashing light base. Approx 360ml. Colours: Clear Transparent Plastic Cup. Packing: Each packed in Cylindrical plastic cover. 30pcs per box. Classic style Whisky tumbler also great for soft drinks. Multicolour flashing light base. Approx 250ml. Great for beer or soft drinks or juice. Multicolour flashing light base. Approx 390ml. Packing: Individually boxed. 60pcs per ctn. Starts to flash when you lift up the mug. On/off switch. Multicolour flashing light base. Approx 560ml. Packing: Individually boxed. 40pcs per ctn. Colours: Clear Plastic jug with flashing multicolour base. Packing: 1pc per display box, comes with 3 AA batteries. Pocket size fan with light up blades that create aspectacular light display when spinning and alsoproviding a cool breeze at the same time. Colours: Blue Handle, as pictured. Packing: Each in Polybag, 18pcs per inner box. 4 LED lights create a spectacular light display. Also plays techno music. 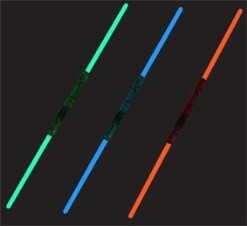 Colours: Asstd Red & Blue handles with multicolour LED's. Packing: 12 pcs per inner box. This item is the best quality on the market. 10 LED lights spinning to create a spectacular light display. Stay on button so no need to keep your finger on the trigger all night. Long fairy style wand with Spinning star ball at the top. Makes a magical noise when the button is pressed. Packing: Individually boxed. 12 pcs per inner box. Packing: 12pcs per inner bag. Packing: Each in Blister Pack, 12 pcs per inner box. Packing: 5 balloons per pack / 50 per box . Packing: 12pcs per inner box. Multicolour flashing lights with 6 flashing sequences. Looks like a Michael Jackson glove with lights. Colours: White glove with silver sequin & multicolour led's. Packing: 1 pair per pack, 24pcs per inner box. This awesome RC Car Flips, Spins, Flashes & plays music. Very popular for all ages. Colours: Blue or Red colour frame with multicolour flashing lights. Packing: 1 car per pack. 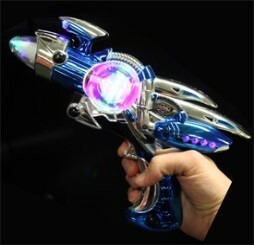 Blows bubbles and flashes with multicolour lights. Packing: 18pcs per inner box. 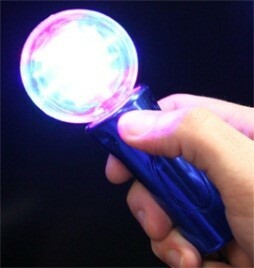 Plastic Hand Clapper with multicolour flashing LED. A clear plastic Frisbee with 3 LED’s that flash around the centre of the Frisbee and light it up at night. Great fun at the beach. Plastic novelty sling shot helicopter, Fold down the wings, shoot into the air and what spins to the ground like a helicooter. Description: Flashing Mouth Guard Multicolour Flashing Lights. Push button activated. Description: Flashing Fangs/Flashing TeethMulticolour Flashing Lights. Push button activated. Multicolour Flashing Lights. Push button activated. 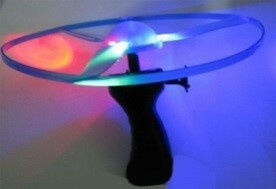 Description: Flashing YoYo Lights flash when the Yoyo spins. A clear plastic ball containing a basketball hoop and ball. Test your skill to get the ball in the hoop and what the lights flash. Listen to the crowd roar each time you score. Fun game. 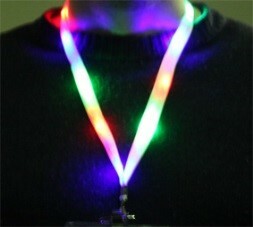 comes with extra strong cord and finger loops Creates an awesome light display when swung around. Packing: 1 pcs per box. Light up Pen with 7 colours in 1. Wrist Lanyard attached. Colours: 7 light up colours in 1 with grey metal handle. Packing: Each packed in Blister Card, 24pcs per inner box. Create some amazing light patterns while looking through the scope. Colours: Silver & Gold metallic handles, multicolour changing lights. Packing: 1pc per gift pack/48pcs per inner box. Just tell us which product you need batteries for and we will check it for you. We don't stock the whole range of batteries at this stage. Plastic connector with hole for string. The back of the body light simply pushes through the hole in the round disk. This provides an option to wear as a necklace as well as a body magnet. This item provides an option to wear the Body light as a broche as well as a body magnet. Description: 9pc Display Board for Body Lights. A much easier way to display up to 9 different body lights. Operates with 3 AA batteries. Simply screw on the body light tops and switch on. Packing: 500 wristbands per pack.